There’s a reason why Springfield’s historic Commercial Street is enjoying a recent boom in development. In fact there are several reasons. From bike shops and restaurant moguls to interior designers, business owners are heading north to C-Street. Jun 14 2018 at 3:56 p.m.
Photo by Brandon AlmsLarnelle Foster is the owner of Q Enoteca wine bar, whose neighbors include Vecino Group, Lindberg's Tavern and Sangha Studio. It’s finally happening. Springfield’s long-neglected historic Commercial Street is basking in the luminous glow of redevelopment and business growth. For years, C-Street was largely ignored by Springfield’s thriving business community. Entrepreneurs looking to set up shop headed south or moved downtown. C-Street was considered too dangerous, too far north, too unpopulated. But that is changing, and for good reason. Slowly but surely, C-Street has attracted new restaurants, retailers and businesses. The price is right, space is available and the buildings offer more than ample square footage. Brimming with historic charm, culture and architectural appeal, office space along C-Street often rewards its occupants with more than they bargained for. Photo by Ettie BernekingIn addition to operating her own interior design business, Charity Evans repurposed the loft above her studio into an Airbnb to showcase her skills. It’s that age old cliche. Location, location, location! 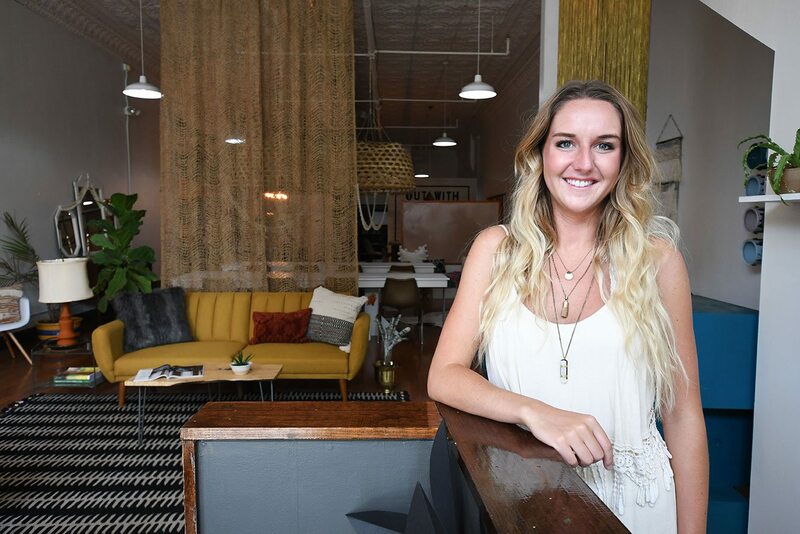 But when Charity Evans moved her interior design business, Refine Studios, into its new home on C-Street, the location was less than desirable at the time. “People saw the area as kind of dangerous and run down,” Evans says. What they didn’t see was C-Street’s untapped potential and unscathed historic buildings. But that’s what drew Evans to Commercial Street and into the the two-story brick building she moved into. To create a blank canvas that would showcase her flare for design, Evans left the exposed brick untouched and painted the walls a bright white, which let the building’s original tin ceiling pop. Photo by Ettie BernekingFrom startup to stardom, the Date Lady creates date-based syrups, sauces and spreads for all of your cooking needs. For those who followed the rise of Date Lady from a local Springfield startup to a player in the national food scene, it’s hard to imagine this success story didn’t start on C-Street. 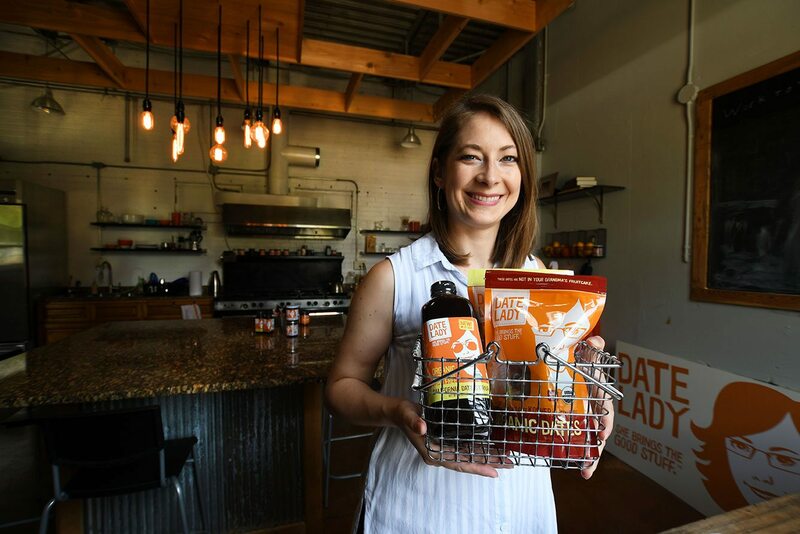 But back when founder Colleen Sundlie was looking for a space to process and package her organic dates and date syrups, she built a processing kitchen in a warehouse off of Battlefield. Besides the dreamy walk-in, the building came with a food processing room and an employee kitchen that now doubles as a photo studio for product shots. It’s even where the Date Lady team makes all its fruit cakes during the holiday season. Sundlie’s purchase of the building even included the attached empty lot and a residential building nearby. So if Date Lady needs to expand again, there’s plenty of leg room. Photo by Ettie BernekingBridge Upholstery & Drapery specializes in custom window treatments and furniture upholstery. Before moving into their spacious C-Street store, Robbyn Bybee and Manda Brandt were getting Bridge Upholstery & Drapery off the ground while underground. 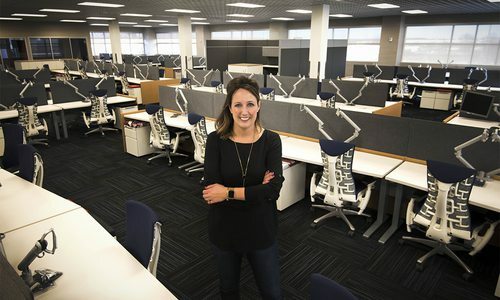 The price for a basement office in downtown Springfield was right, but quarters were cramped, and the basement location meant hauling heavy furniture up and down steps. Then they found a vacant accounting office on C-Street, and it was a perfect match. “We fell in love with it,” Brandt says. 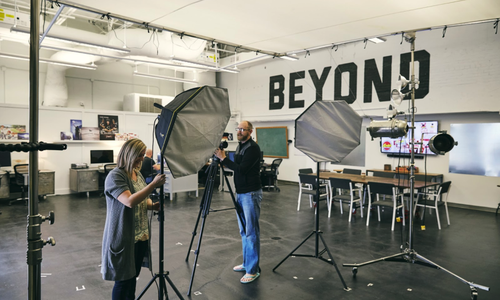 “It has a back entrance, so we can bring furniture right into the workroom, and the front half can be used for client meetings.” The space also has vaulted ceilings, which means Bybee and Brandt can easily flip and turn furniture as needed. Photo by Ettie BernekingWilliam Angle's niche business Trail Labs has found success in his new pedestrian-friendly storefront. Unlike most retail businesses, Trail Labs owner William Angle isn’t focused on bringing foot traffic into his store. 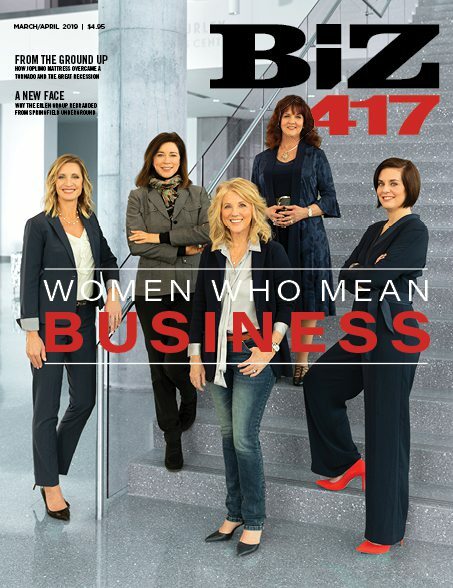 “Seventy-five percent of my business arrives through mail,” he says. Angle operates within a niche market. 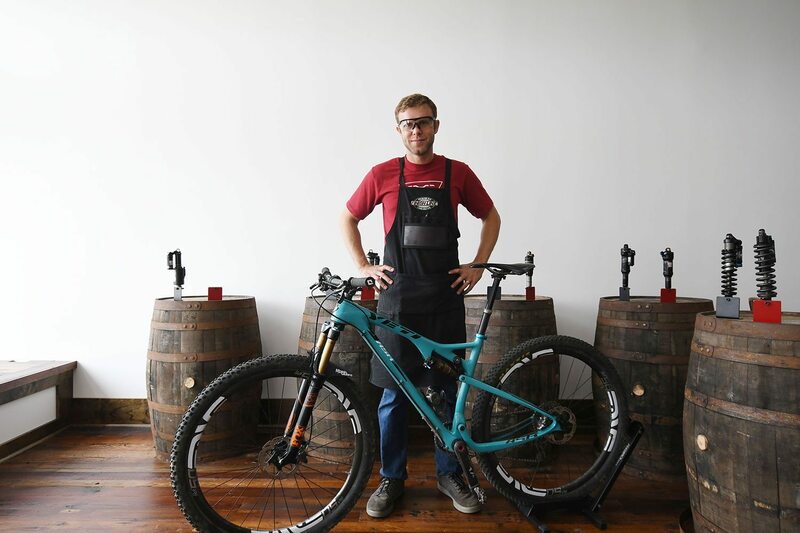 Trail Labs focuses on the service and sale of mountain bike suspension components. So when Angle and his wife moved back to Springfield and started looking for a retail and workshop space, he wasn’t concerned about finding a heavily-trafficked area. 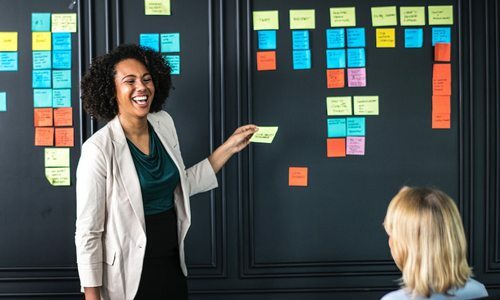 Instead, he was focused on creating a welcoming and stimulating work environment. 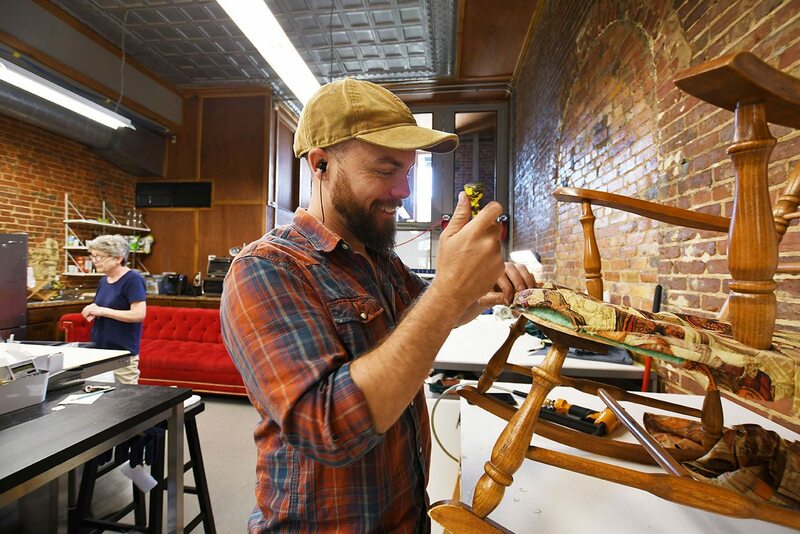 With a passion for restoring and rehabbing historic buildings, Angle tightened his search to downtown Springfield and C-Street. The retail space that captured his imagination was a cavernous, one-story brick building on the west side of Commercial Street. It was within walking distance to nearby lunch spots and coffee shops, and it was large enough to house a retail showroom, workshop and storage area. “In this industry, you often end up in a windowless garage,” Angle says. “You can’t see outside, and it’s not conducive to good vibes and happy employees.” But with the big front windows, Angle’s new shop is a much better atmosphere. More than a year after opening, Angle is seeing walk-in traffic increase as cyclists and shoppers wander down the block. He might not have been focused on foot traffic, but his new office is now in a pedestrian-friendly destination. Photo by Kevin O'RileyJoe and Claire Gidman are a mother-son team to be reckoned with. They began their business ventures with Cafe Cusco and now own three businesses on C-Street. There’s a common thread linking most business owners on C-Street. They often faced skepticism about opening on Springfield’s north side. 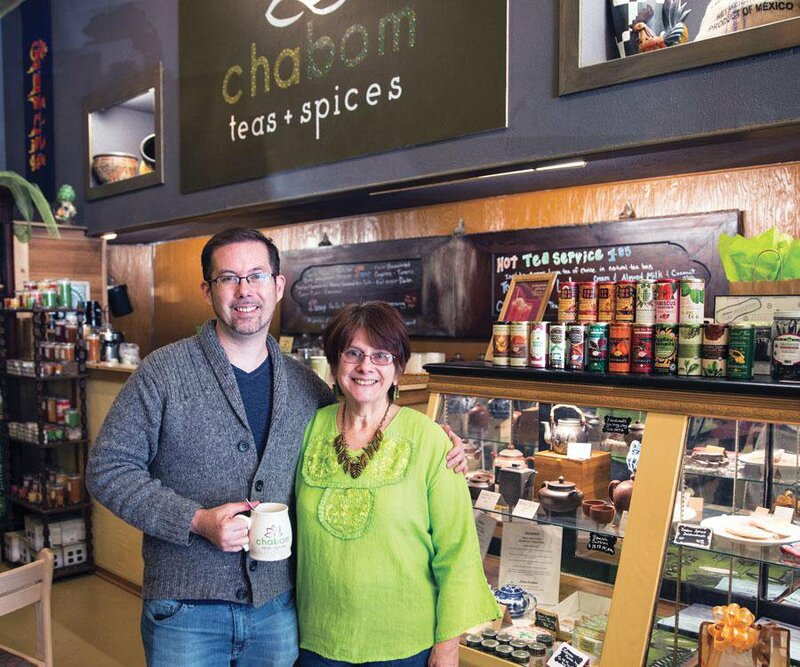 But Joe Gidman, co-owner of Cafe Cusco, Chabom Teas + Spices and the recently opened Van Gogh’s Eeterie, was actually encouraged to make C-Street home. Greg Johnson at Great Southern Bank was part of C-Street’s commercial improvement district, and he recommended Gidman and his mom and business partner, Claire, check out the available real estate. At the time, the Gidmans were eyeing property on the south side of town, but so was everyone else. “It left a market on the northside that was untapped,” Gidman says. 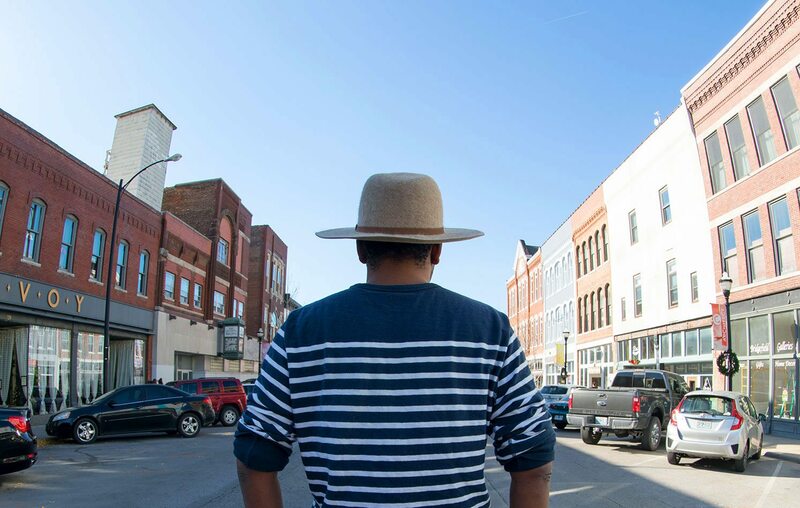 After the Gidmans toured a two-story historic building now home to their first restaurant—Cafe Cusco—they started considering the perks of the location including its proximity to Highway 44, industrial parks and the government center off of Chestnut Expressway. But to make sure the C-Street crowd had money to spend on dining out, the Gidmans camped out at Big Momma’s coffee shop and counted the number of Apple products. It might sound non-traditional, but their method worked. “We were watching this steady flow of college kids and professionals coming in,” Gidman says. “That showed us that there was a demographic that had money to spend.” Six years later, the Gidmans move north has payed off. The duo just opened their third business on C-Street—Van Gogh’s Eeterie— and doesn’t seem to be slowing down anytime soon. 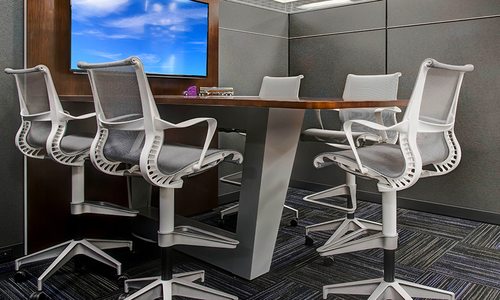 About Grooms Office Environments: For 40 years, Grooms Office Environments has provided commercial interior design services including space planning, project and move management, healthcare and systems furniture as a full-service Herman Miller dealership. Whether you need to furnish a single office, a new building or even a single workout space, Grooms’ expertise can work for you. Grooms clients include Jack Henry, Prime Trucking, Bass Pro Shops and CoxHealth Network.